Datto Inc., founded by RIT alumnus and trustee Austin McChord ’09 (bioinformatics), is nominated for the Digital Rochester GREAT Awards’ Tech for Good Award and the Best Tech Workplace Award. Rochester Institute of Technology will be well represented at the 2018 Greater Rochester Excellence and Achievement in Technology Awards, presented by Digital Rochester Inc. The awards are Sept. 26 at the Joseph A. Floreano Rochester Riverside Convention Center. The annual awards recognize individuals and organizations from the Rochester area who are making contributions to innovation and technology. 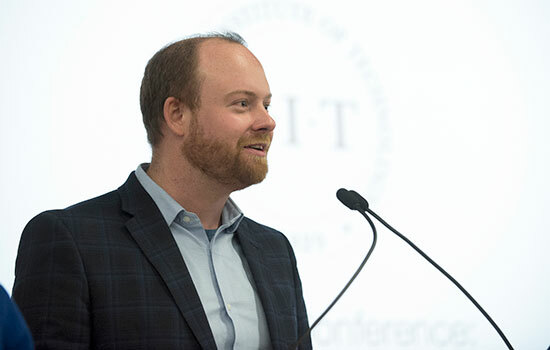 Datto Inc., a global provider of Total Data Protection Solutions founded in 2007 by RIT alumnus and trustee Austin McChord ’09 (bioinformatics), is nominated for the Best Tech Workplace Award. This award, which is judged on workplace culture, engagement, innovation and creativity, recognizes excellence in achieving an engaged and productive workplace for a company focused on the development or manufacturing of technology. Monro Inc., which was co-founded by RIT trustee emeritus Burton August, is nominated for the Digital Marketing Award. The award recognizes the best use of digital marketing to promote brands, build preference and increase sales through various digital technologies. It is judged on innovation and originality, application, commercial availability and measurements and results. 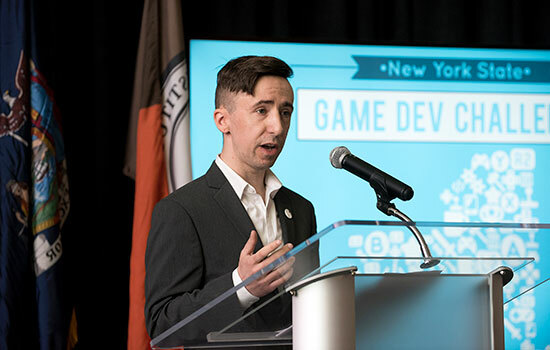 Robert Mostyn, Digital Games Hub Coordinator for RIT’s Center of Media, Arts, Games, Interaction and Creativity (MAGIC), is nominated for the Emerging Tech Leader Award. This award recognizes a high-potential individual with fewer than five years in a technology industry who has made significant contributions to the profession and has demonstrated the potential for exceptional leadership and continued service in the technology field. The award is judged on innovation and originality, implementations and achieved career progression. Datto Inc. and Positive Science LLC have been nominated for the Tech for Good Award, which demonstrates excellence in using technology to support a good cause. Positive Science LLC, founded in 2006 by RIT alumnus Jason Babcock ’03, ’00 (color science, imaging and photographic technology), is a customizable eye-tracking system that can be used by clients for a variety of projects. The company also provides post-capture reviews and comprehensive training. Suzanne Piotrowski ’95 (continuing education) was nominated for Project Manager of the Year. Piotrowski is executive director of TedX Rochester. The Student Achievement Award is awarded to a student, or team of students, enrolled at a Greater Rochester higher education institution who showed leadership and skill in applying or advancing innovative technology for the betterment of themselves, their educational institution, and/or the greater Rochester Community. The award is judged on the community/school benefit, technical skills and application/strategic direction. Nathan DeMario, a mechanical engineering graduate student from South Wales, N.Y., is nominated for Phase Innovations LLC. Phase Innovations provides novel stack-based technologies for energy conversion and storage applications. 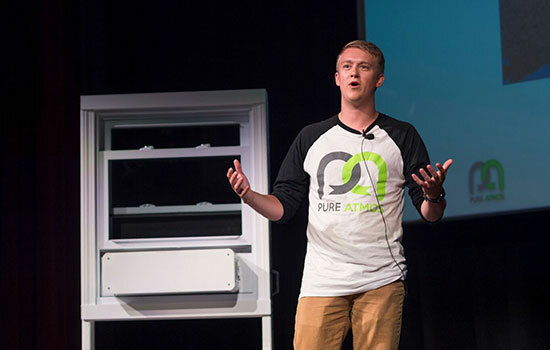 The company, which recently joined RIT’s Venture Creations business incubator, is leveraging its prior experience in their field, where the founders have been named as inventors on more than 40 patents, in efforts to develop new energy efficient HVAC technologies. 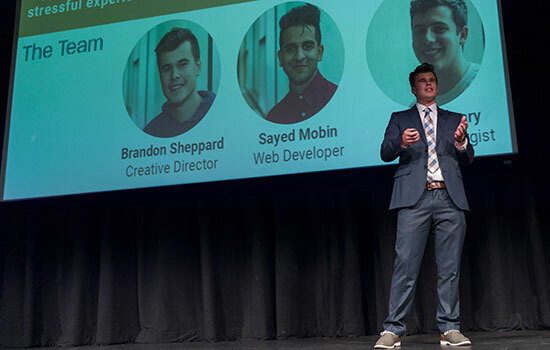 Brandon Sheppard, who earned his Bachelor of Fine Arts degree in industrial design from RIT in 2018, represents Op-Siix, a support network of wearable devices and a mobile app that connects veterans and their families to ease the transition into civilian life. Sheppard is from Laconia, N.H.
Amanda Zaremski, a fourth-year applied arts and sciences student from Rochester, N.Y., represents WINutRx, the parent company of OurDietApp, which offers personalized health information based from an individual’s own disease database.